The long and arduous qualifying campaign for the 2022 FIFA World Cup in Qatar has already begun, as 46 teams from across the continent prepare to fight for the five slots on offer in the final tournament. The first round of qualifying features a straight playoff match between the 12 bottom-ranked teams in the association. The six winners of this round will progress to a round of group matches against the remaining 34 nations. Malaysia are the most notable team in the draw they hosted this morning, having finished as runners-up in the regional AFF Cup back in December 2018. They will face fellow South-East Asian side East Timor. 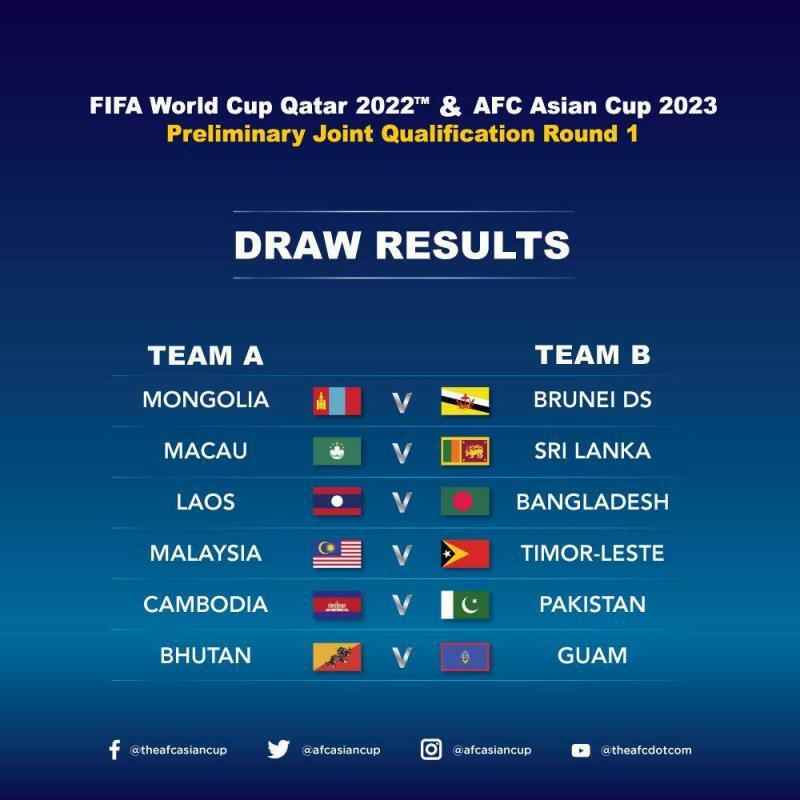 Other teams from the region include Cambodia, Laos, and Brunei, who have been drawn against Pakistan, Bangladesh, and Mongolia respectively. In the two remaining ties, Macau take on Sri Lanka while Bhutan face Guam. All six ties will take place on the same dates, with the first leg matches slated for the 6th of June, while the return leg will be played five days later.